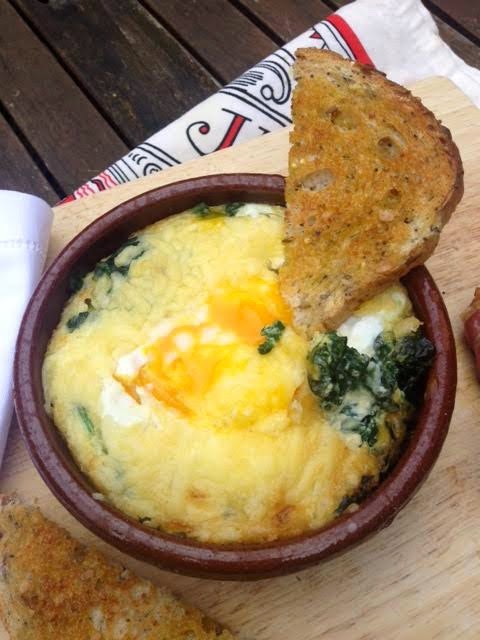 I love eggs Florentine, and I adore baked eggs, so it makes complete sense to combine the two. 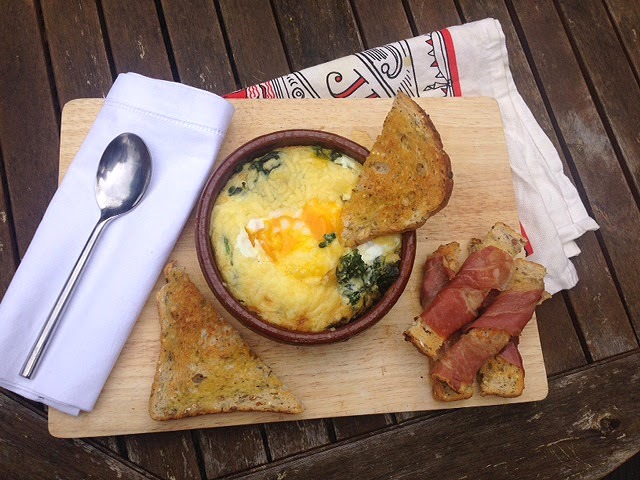 This Florentine baked eggs takes a little time to pull together, but is definitely worth the care and attention to detail you put in - give it a go one Sunday morning for a showstopper brunch. Steam a bag of spinach until wilted, and at the same time finely chop and fry an onion in a knob of butter. When the spinach has wilted transfer to a mixing bowl and thoroughly drain off any excess water. Add the onion, salt and pepper and mix. 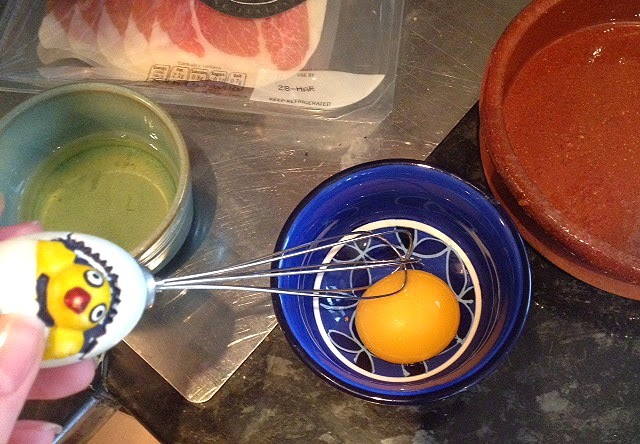 Separate an egg, and take the yolk and whisk into a good dollop of cream. Add to the spinach mixture and combine. Take two earthenware dishes and add a little melted butter or olive oil. Then add half of the spinach mixture to each dish. Make two wells in each dish and crack in four eggs - one in each well. 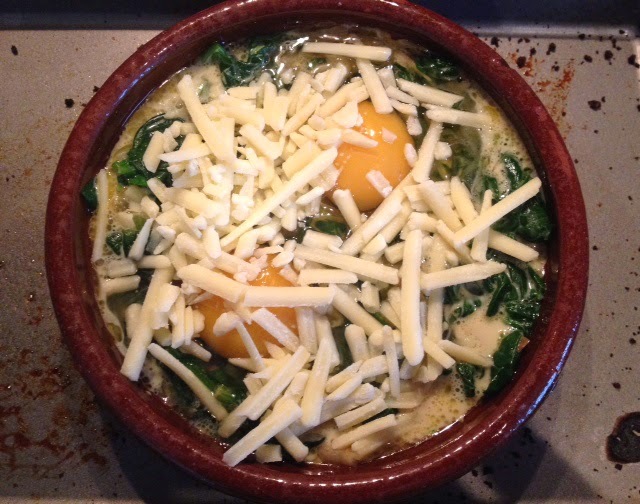 Cover both with grated cheese and pop in the oven at 200 Degrees Celsius for around 15 minutes, so the yolks should come out runny. 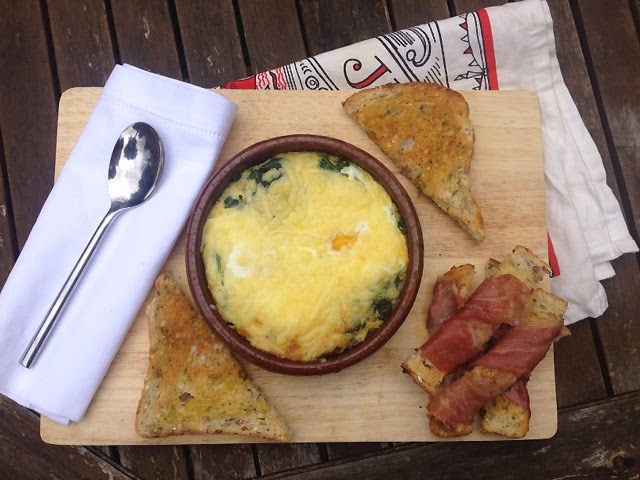 Serve with toast drizzled with olive oil, my parma ham soldiers - or both.